Entering Actuals are a shift task for Deputies (Crew Leaders). Actuals are the achieved values of different KPIs during a shift that need to be entered on the Actuals screen to create a Shift Plan report. 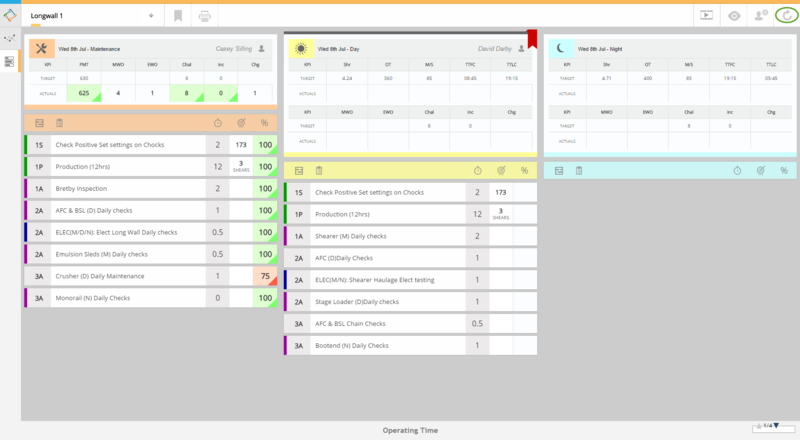 A Shift Plan report is a summary of the KPIs (Targets and Actuals), Resources (people and equipment), Tasks and additional Notes. 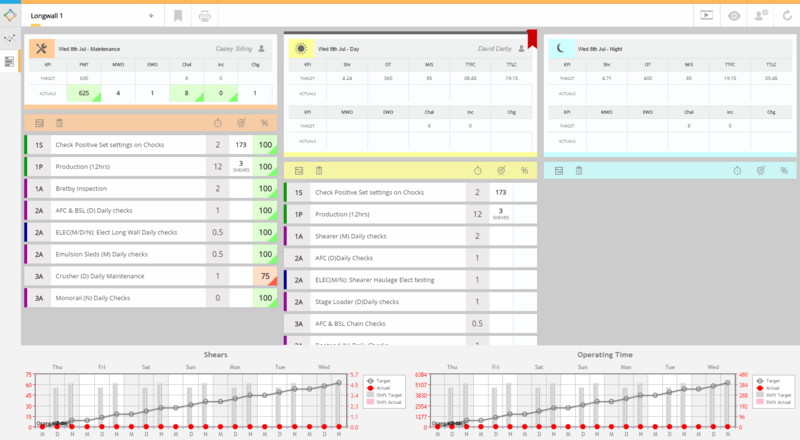 Fewzion’s Actuals screen helps Crew Leaders to quickly and effortlessly enter the Actual values for KPIs, select Task Completion, answer Checklist Questions, print Shift Plan reports, etc. Entering Actuals are a shift task for Deputies (Crew Leaders). Actuals are the achieved values of different KPIs during a shift. If the Deputy hasn’t used the Actuals screen before, the Deputy Training Video will pop up. For more information, see the Watch Deputy Training Video section. By clicking on the red "X", the entered value will be deleted. N/A is used for KPIs that don’t need an Actual (i.e. the listed KPI is not applicable to the particular shift as a result of bad planning). For more information, see the "What is the difference between 0 and N/A when I enter Actuals?" FAQ article. To have calculated KPIs on the Actual screen, please contact Support. To enter Actuals for time based KPIs, please follow this steps. By selecting the Close button before the KPIs and Tasks sections fully completed, a warning message will pop up displaying how many KPIs and Tasks need to be completed. 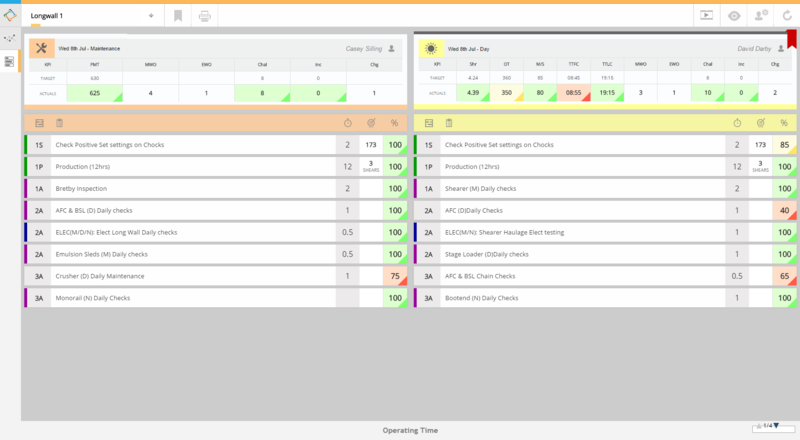 Tasks are assigned to and need to be completed during a particular Shift. 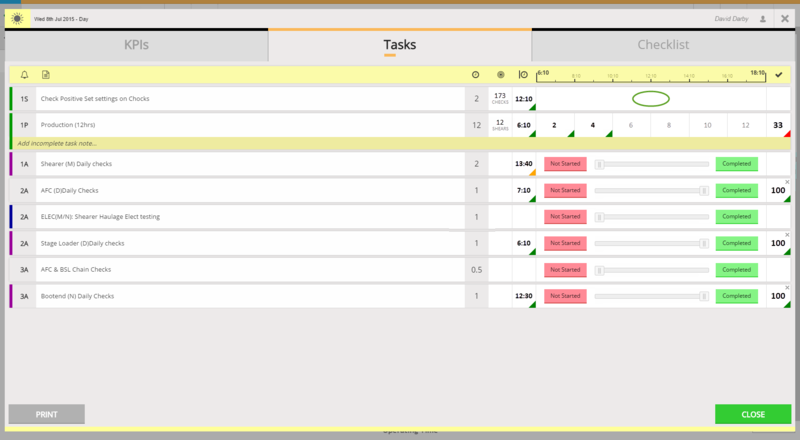 Deputies can easily and quickly enter actuals on the Fewzion’s Tasks Completion screen. 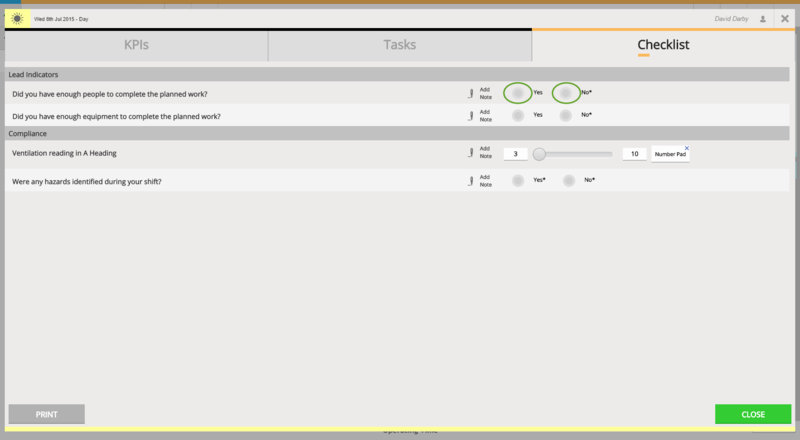 The incomplete notes section is shown for these tasks as the task completion is in progress. To delete the Task Completion value, click on the little "X" for the value that need to be deleted. 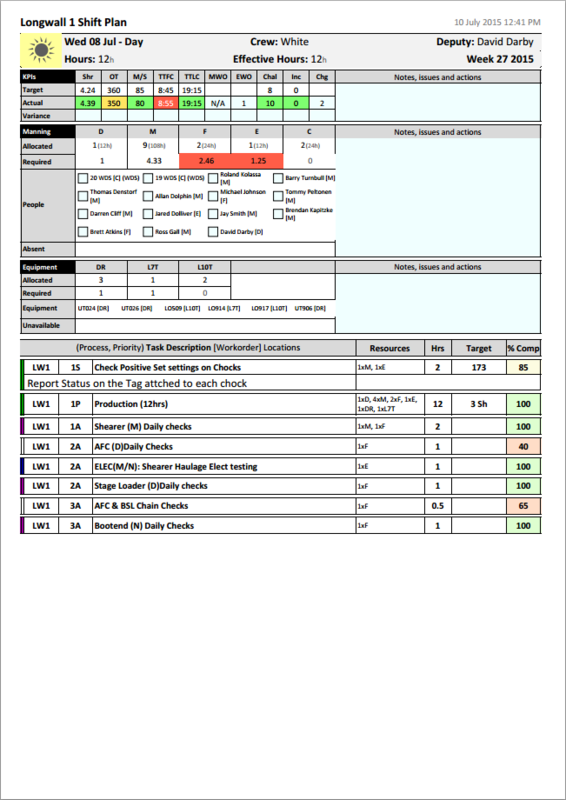 A Checklist is a helpful tool for Crew Leaders to examine the completeness of tasks that need to be done during shifts. 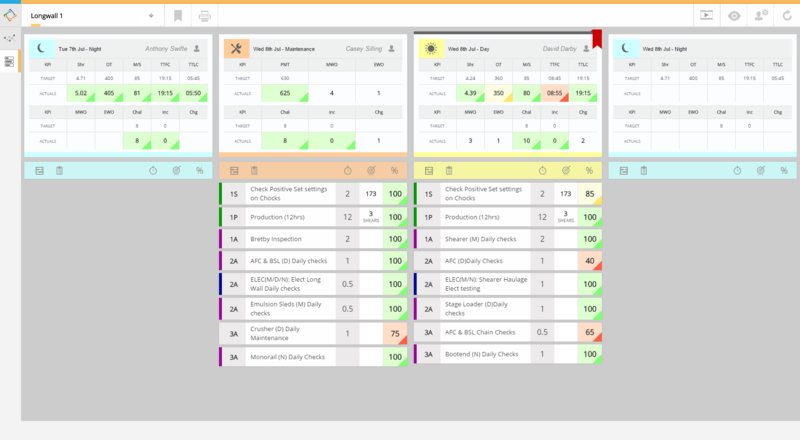 For more information about Checklist Question, see the "How to Manage Checklist Questions" article. The star (*) indicates that a note is required. 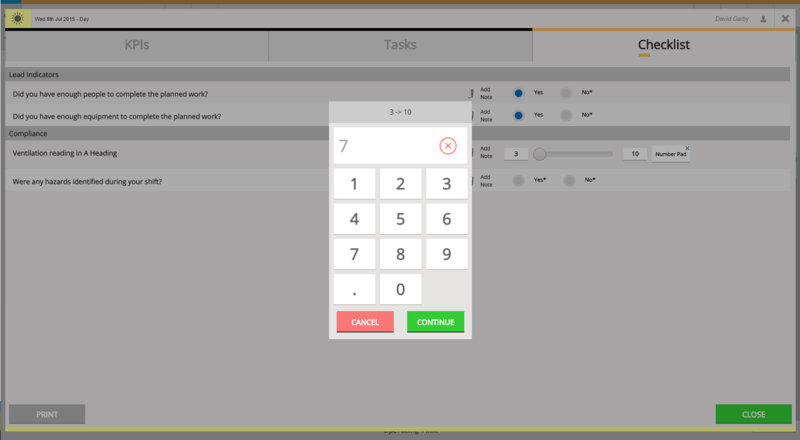 Answer Checklist Questions for Numeric Answer Type by sliding the button, tapping on the bar or using the Number Pad (see below). 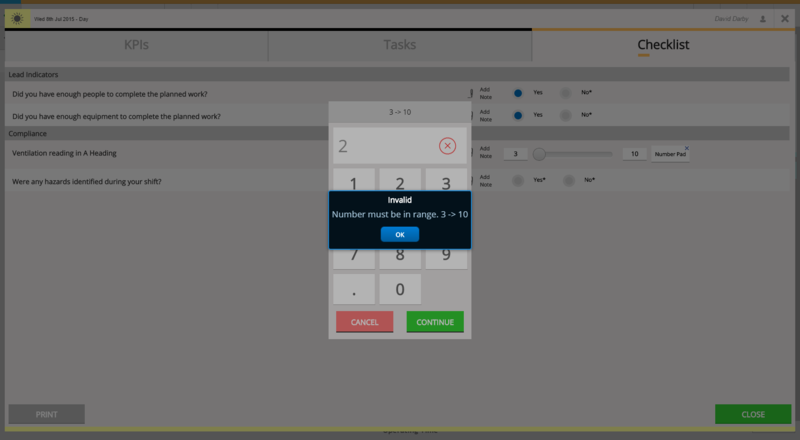 When an out of range value entered by the "Number Pad" (in this example: 2) and clicked on the "Continue" button, an error message will appear. 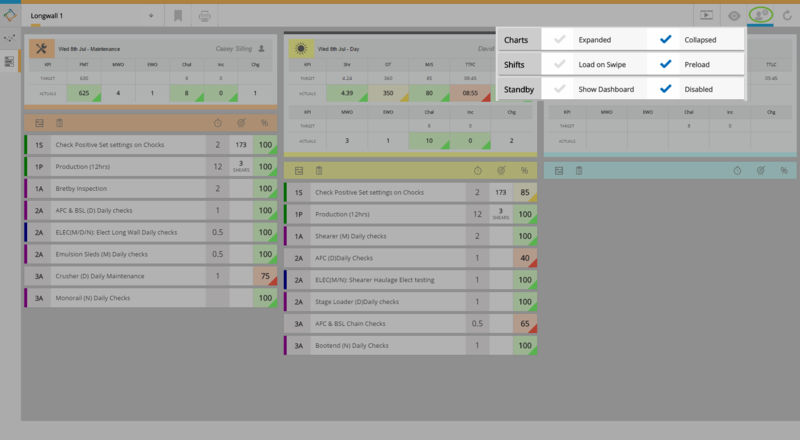 The Shift Plan is a summary of the KPIs, Resources (people and equipment), Tasks and additional Notes of a shift. 1. Click on the "printer" icon on the Actuals screen and select the required shift. 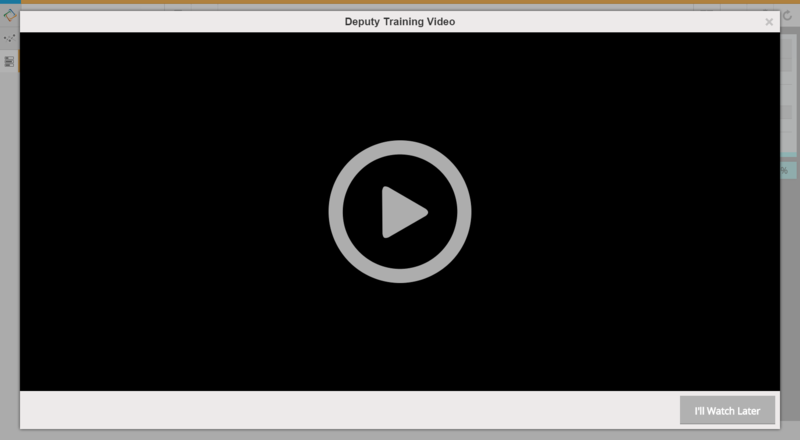 The Deputy Training Video was developed to help Deputies use the Actuals screen effectively. This short video (2:30 minutes) introduces the main screens and functions (navigation, how to enter Actuals, select Task Completion, answer Checklist Questions and print Shift Plan) and it is highly recommended to watch this video. 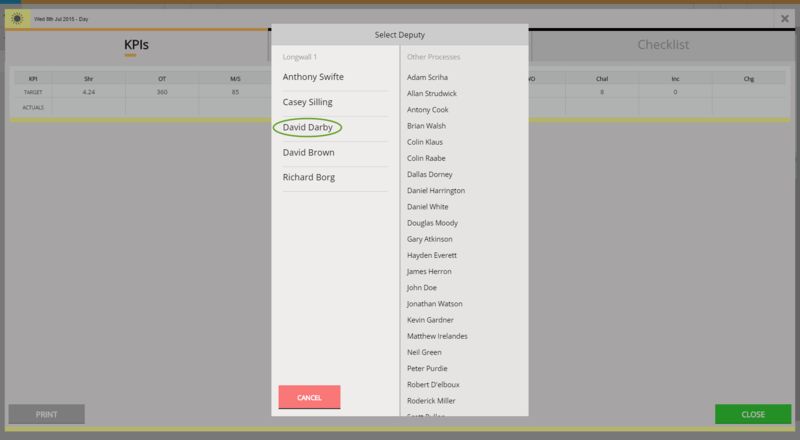 If the Deputy hasn’t used the Actuals screen before, the Deputy Training Video will pop up after selecting the Deputy. 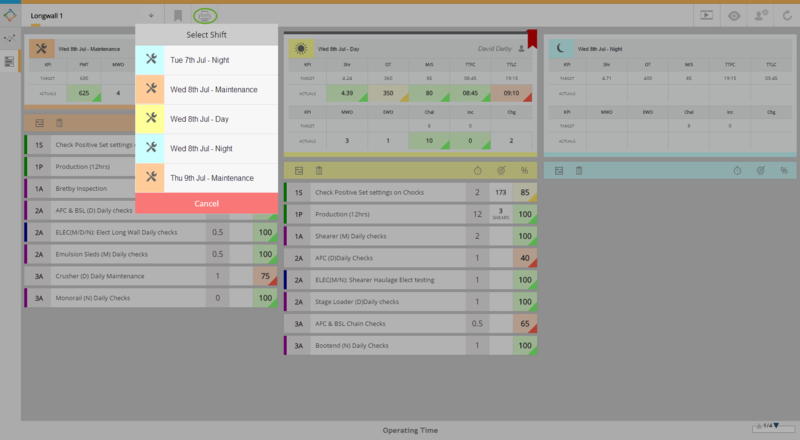 Fewzion allows users to see different number of shifts on the Actuals screen. 1. Click on the "view" icon. Select a display option. The default display option is "M" that displays the shifts in medium size on the screen. 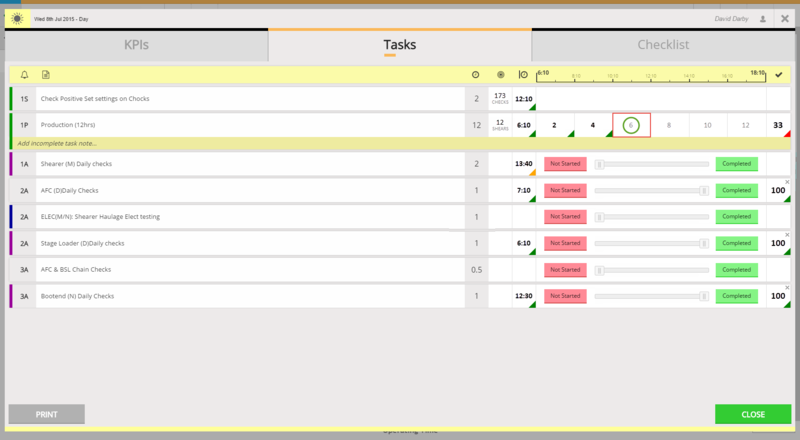 By selecting the "S" option, the shifts will be displayed in small size on the screen (see below). By selecting the "L" option, the shifts will be displayed in large size on the screen (see below). 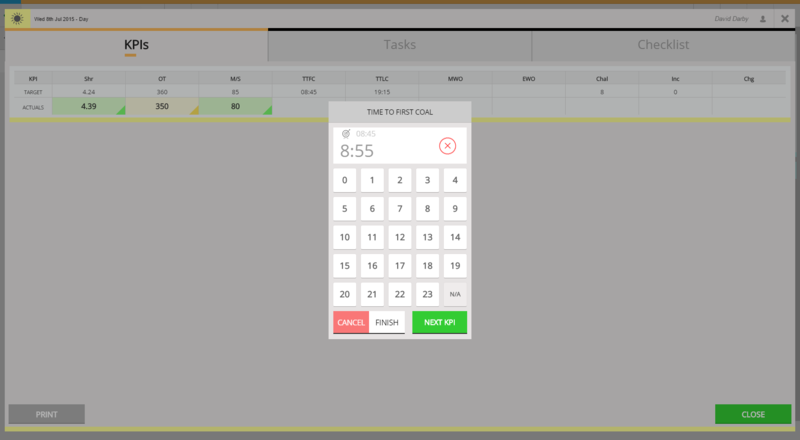 General settings allow users to display Charts on the Actuals screen, preload Shifts from the cache of the browser and set a screen after the computer recovers from standby mode. 1. Click on the "settings" icon. Select an option. Charts has two options: "Expanded" and "Collapsed". 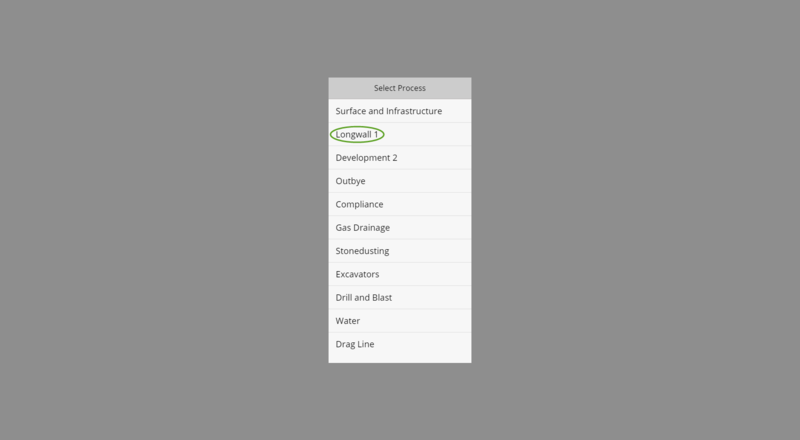 The default setting is "Collapsed" that does not display diagrams on the bottom of the main screen. By selecting the "Expanded" option, the required charts will be displayed (see below). 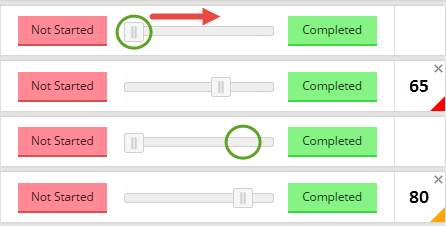 Please contact Support which chart(s) required to show by the "Expanded" option. Shifts has two options: "Load on Swipe" and "Preload". The default setting is "Preload" that caches Shifts in the browser. Hence, it provides a faster display response. By selecting the "Load on Swipe" option Shifts will be loaded when the user navigates to Shifts by swiping the screen. Standby has two options: "Show Dashboard" and "Disabled". The default setting is "Disabled", this will display the last used screen when the computer resumes from standby mode. 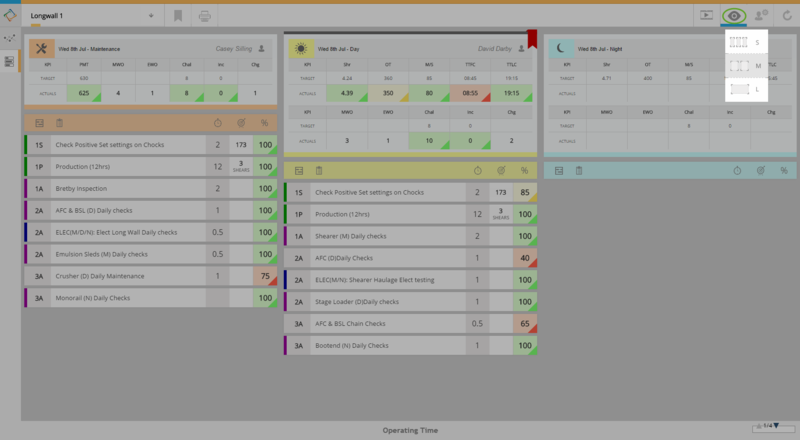 By selecting the "Show Dashboard" option the Dashboard will be displayed after resuming from the standby mode. 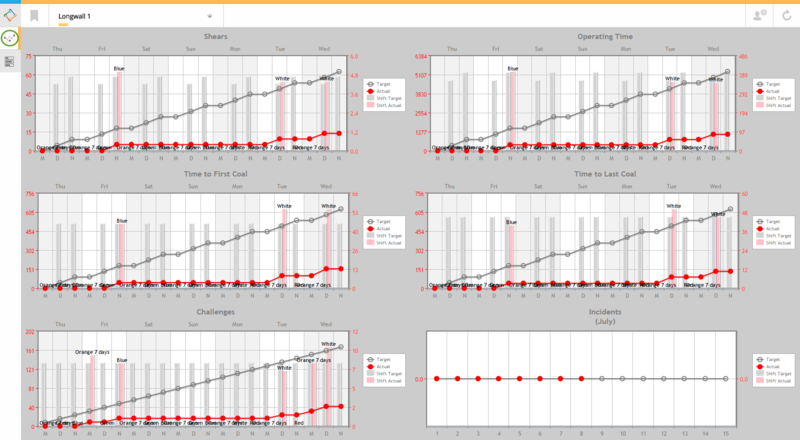 Fewzion’s Dashboard screen displays different charts of KPIs. 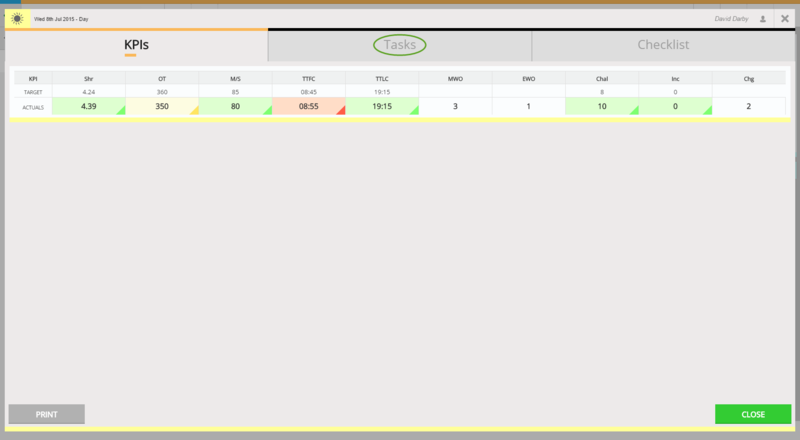 Please contact Support which chart(s) required to be displayed on the Dashboard screen. 2. Click on the "settings" icon. Select an option. On Tap has two options: "Do Nothing" and "Show Actuals". 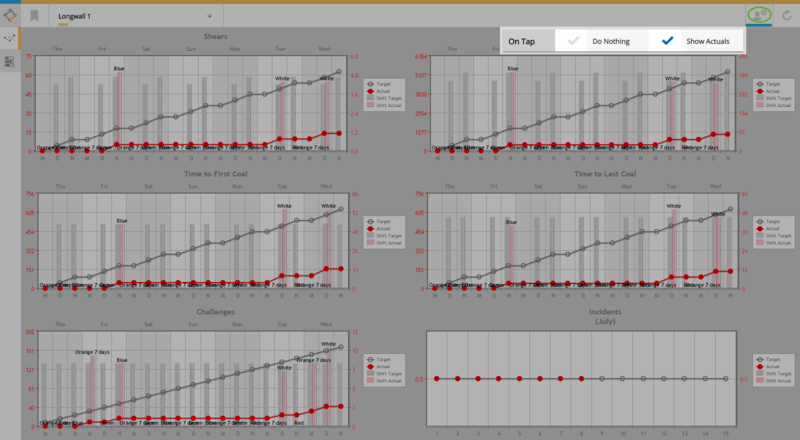 The default setting is "Show Actuals" that shows the Actuals screen when a user taps on a chart. By selecting the "Do Nothing" option, after tapping on the charts, the screen remains on the Dashboard. The "refresh" icon refreshes the Actuals screen. 1. Click on the "refresh" icon. By selecting the "refresh" icon, the Actuals screen refreshes and the current shifts are displayed. 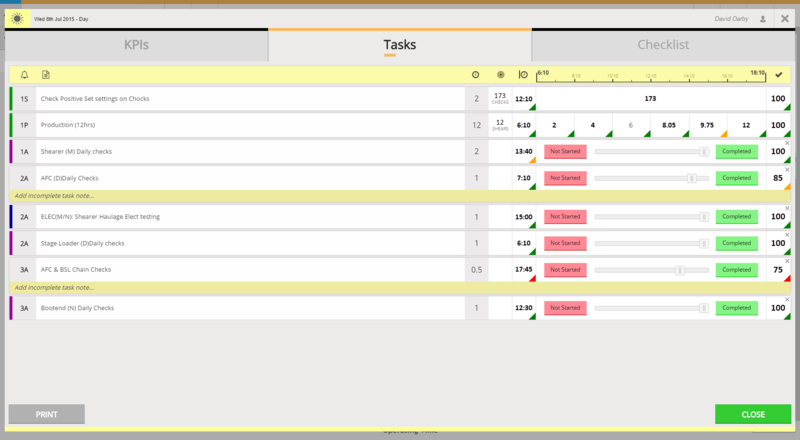 When a user clicks on the Actuals section for a KPI or a Task, the Select Deputy screen will pop up.